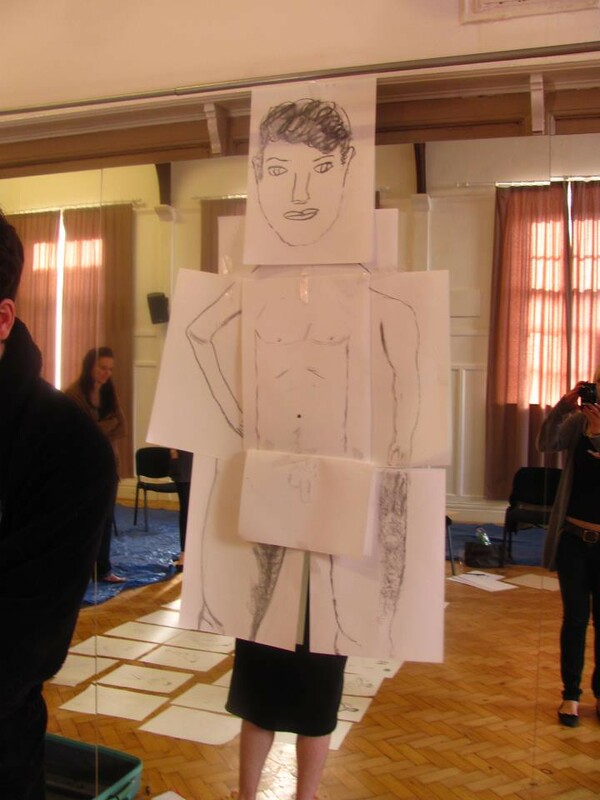 These are not the usual serious life drawing classes with snobby artistic types attempting to capture the essence of the human form while in reality pretending not to focus on the model's package. 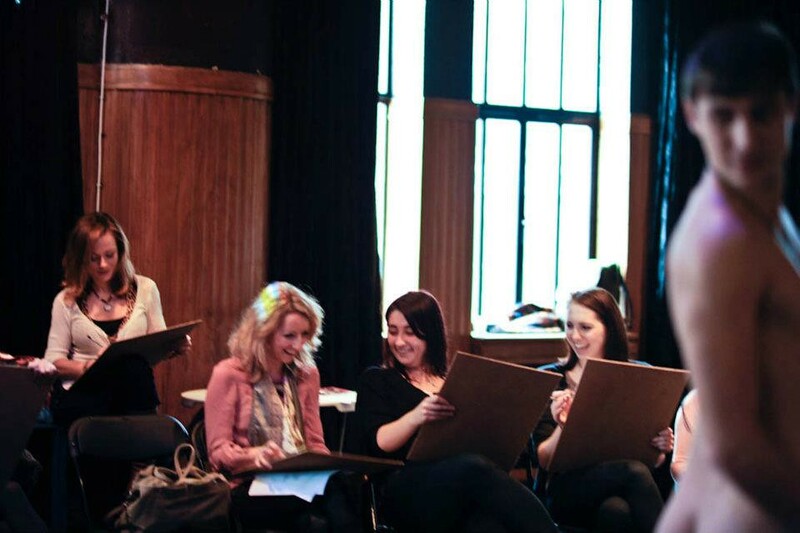 Instead, our focus is on helping you to loosen up and have fun with a group of friends in a relaxed environment. 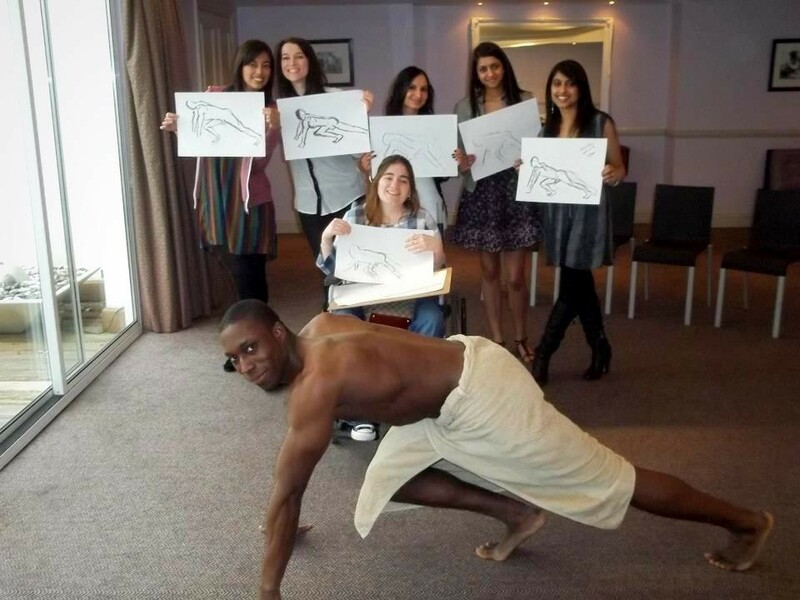 You won't be able to draw a straight line while joking around and having a good time as a male model provides the artistic inspiration for the evening. 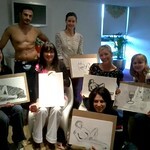 Our life drawing parties are the perfect beginning to a raucous weekend celebration. A professional model will be present in his "birthday suit". Giggling, pointing, and guffawing are not only okay, but are encouraged. We want you to have the time of your life with your special group of friends. Take home the drawing you've completed and have it framed if you like. 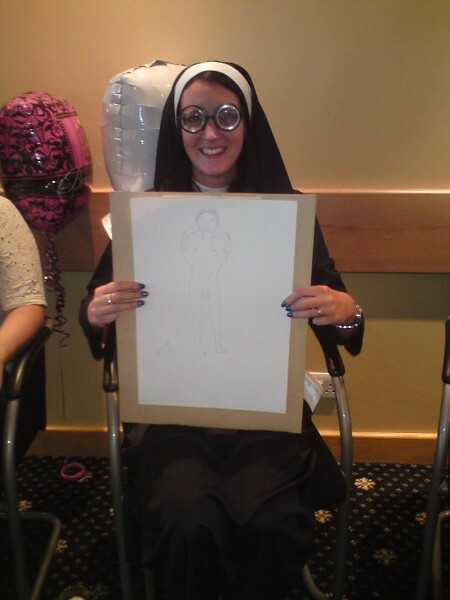 They make perfect mementos of your hen party that you can cherish for years to come. The more bold members of your party can even pose for photographs with our model. Be as risque as you like! It's all about getting the party started. 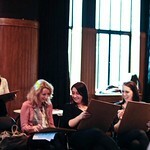 Life drawing workshops are perfect entertainment for women of all ages. Regardless of your drawing skills, you'll have a great time, with plenty of visual stimulation to keep you amused. 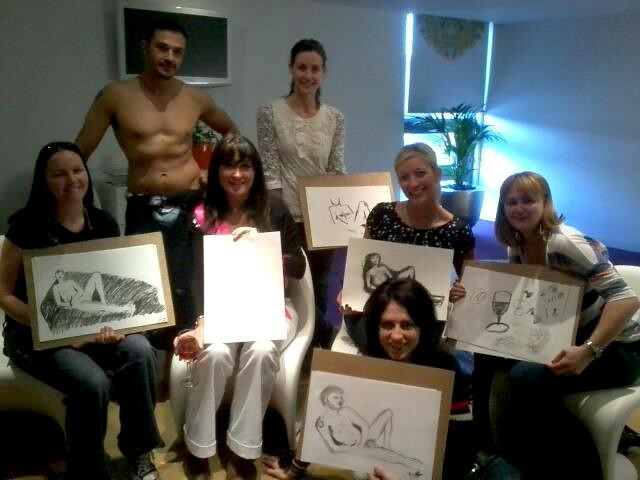 For a fresh, unique hen party idea, you won't find activities more entertaining and engaging than our life drawing parties. Book one today and give the bride-to-be a send-off she'll never forget. All drawing materials will be provided to members of the party. A professional model will be made available also. Different models are available for your choosing. If you have a preference, please let us know about it and we'll try to accommodate any reasonable requests. While taking photographs are completely acceptable, we won't be furnishing any camera equipment. Instead, party members should bring their own digital cameras to the workshop. 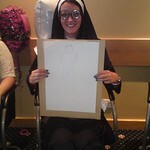 Our life drawing hen parties last approximately one hour. Space will be booked at a workshop suite that will be the setting of the party. The convenient location of the workshop will be provided well in advance of the event. Our parties accommodate ten to twenty individuals. We must know the party number ahead of time to make the necessary arrangements. We offer our service at a competitive rate and prices are available upon request. For more information, please contact our office today.